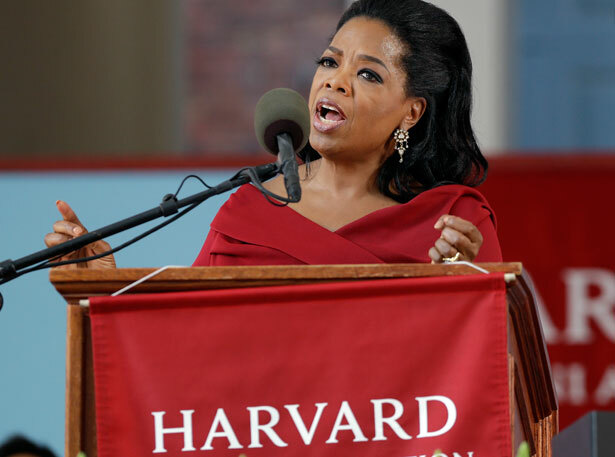 At the top liberal colleges and universities, commencement speakers are usually liberals. So what? Today is graduation day on my campus. At the University of California and thousands of other schools over the last few weeks, millions of students and their families have been celebrating—and listening (or not listening) to commencement speakers. Fox News has a complaint about those speakers: too many of them are liberals. “Conservative speakers aren’t welcome on college and university campuses,” says Kevin Hassett of the American Enterprise Institute. In an op-ed for the Los Angeles Times, he reported that no current or former Republican elected official was scheduled to speak at any of the top fifty liberal arts colleges, and only four spoke anywhere in the top 100 universities. Meanwhile Cory Booker, the Democrat from Newark who is running for the senate in New Jersey, gave as many commencement speeches as all current elected Republicans combined. The evidence seems overwhelming—until you look at what all those liberals are telling the class of 2013 and their families. But Zolleck didn’t have to pull out—that was his own decision. He should have gone to Swarthmore, and explained what he really thought about the Iraq War. He should have had the courage of his convictions. Others have complained that the few conservatives who did give commencement speeches sometimes faced protests. When Condoleezza Rice spoke at Boston College, some students and faculty stood and held up signs that said “your war brings dishonor” and “not in my name.” Kevin Hassett told the NPR radio station in Los Angeles, where the two of us debated the issue, that once a speaker is invited, they should be treated with respect. My view is that debate and criticism are part of the mission of the university—and that, for the rest of her life, Condoleezza Rice should be confronted about her role in taking us into a decade of war in Iraq. But unlike Zolleck, she didn’t pull out because people criticized her. In her speech she acknowledged the protesters and said, “There is nothing wrong with holding an opinion and holding it passionately.” The audience responded with applause. Her main message to students, however, was a different one: “be optimistic.” But what about the optimistic view that invading Iraq would be “a cake-walk”? One more thing: it’s true that most commencement speakers at the top 100 liberal arts colleges and universities are liberals. But at the top conservative and Christian colleges, all the commencement speakers are conservatives. When has a liberal ever been invited to be the commencement speaker at Jerry Falwell’s Liberty University, or Bob Jones University, or Colorado Christian, which recently sued to block Obamacare? Why are national security leaks so easy? Read Chase Madar's argument here.